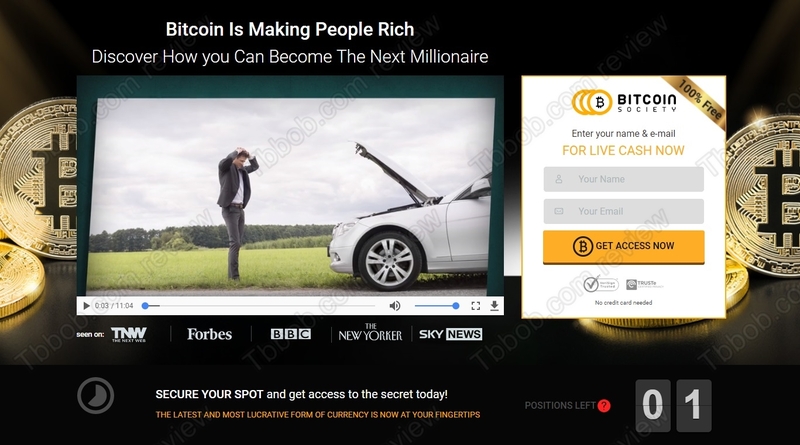 Bitcoin Society is a trading software that works on autopilot. It can open and close trades for you on your account. This way it can allegedly earn you thousands of dollars per day. How much does the Bitcoin Society App cost? Nothing. So, can you really make money for free with this software? No! The truth is that Bitcoin Society is a scam made to take your money and lose it before you realize what is happening. Let’s start with Mensa. He claims to be a former stock broker, but in reality he is a fictitious character. The voice in the video is a paid actor. Meanwhile the picture of Mensa is a stock photo. Look at our picture to see a proof. On the Bitcoin Society website you can see testimonials from people who are allegedly making money with this system. But they all are fake. Look at our picture and you will see that stock photos were used for the fabrication of these reviews. Also, according to the website Bitcoin Society was featured on media like Forbes or BBC, but this is a lie too. Again, you will find the proof on our picture, no serious media have ever mentioned Bitcoin Society. The Bitcoin Society App is supposed to make you money in Bitcoin trading. But when you look at the alleged trading results shown on their website, you will notice that not a single trade was made on Bitcoin. 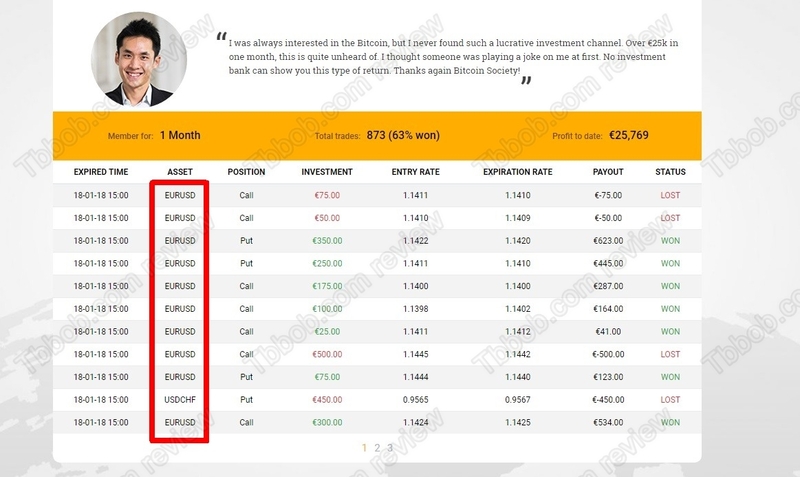 This also proves that this program is a total scam, it has nothing to do with real cryptocurrency trading. The true purpose of Bitcoin Society is to make you deposit money with a certain unregulated broker. The software is not free, it won’t be activated until you deposit with that selected broker. The reason for this is that scammers who run this scheme are getting paid by this broker for referring new depositors. This is how it works, this is how they earn money. Bitcoin Society is a total scam that will force you to deposit and lose money with a worthless app. Stay away from it! If you want to make money in crypto trading, you will have to learn, test and build your own strategy. You can start on a free demo account with a regulated broker. No free system will make you money, you have to do your own homework.